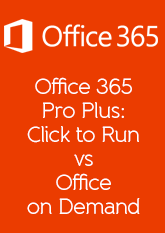 Did you know there were two ways of getting Office 365 Pro Plus when you get the license in Office 365. 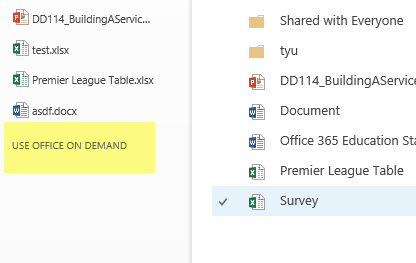 With E3, A3 and the individual licenses you get the ability to use Office on your local desktop using a form of streaming and caching on your machine to so you can use Word, Excel, Outlook etc when you want with and without an internet connection. 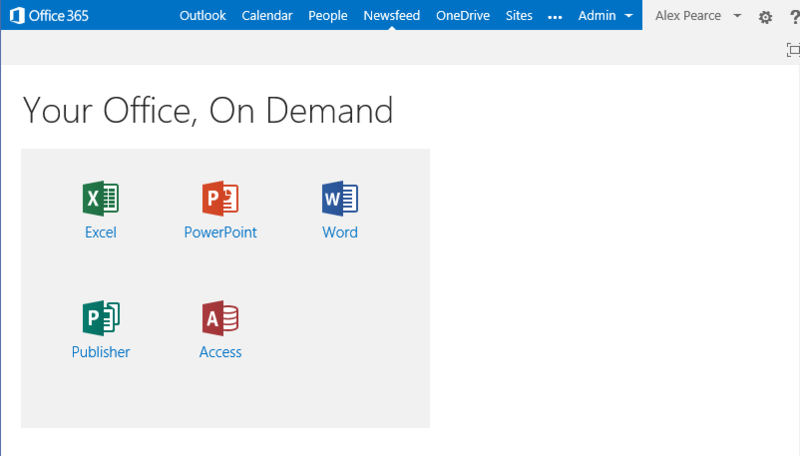 What many people don’t realise is that there is also Office On Demand built into Office 365 which you are licensed for when you get hold of the Office 365 Pro Plus license. Located as a page in the SharePoint Online feature, users can stream Office to their computer. The version is not installed (even though a file of less than 1MB is used to make it all happen) or cached and is a pure streaming version of office. Unlike the full Office download, it requires your internet connection to always be up and connected for you to use it but does allow you to use the latest and greatest where ever you are without having to worry about large downloads. 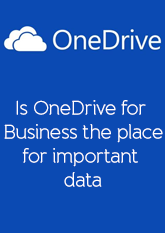 To access Office on Demand you have to navigate to your Office 365 OneDrive for Business where it is then located down the left and side. With Office On Demand, there are some application not available such as Outlook. If you are on the move, Outlook Web Access should provide you with great functionality. There are additional features with Office on Demand over Office 365 Pro Plus which includes Visio and Project. 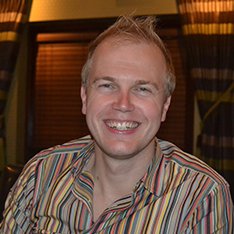 These are also available if you have them licensed as part of your Office 365 subscription. On a PC that you don’t use regularly (you don’t want to use up one of your 5 permissible subscription licenses, for example). On a PC where you don’t have admin rights to perform an installation (you’re using a borrowed computer, for example). On a PC at home if your IT administrator has disabled your ability to manage your installations (you’d like to install Office, but this option is not available).